HPV Vaccine – The Science Behind the Vaccine! Home · Uncategorized · HPV Vaccine – The Science Behind the Vaccine! Learn the facts and truths about the HPV vaccine in this video by Dr. Hartman. As of April 2017, the practice has given over 5,100 doses with no serious side effects. We all want our children to live longer and happier lives than ourselves and this vaccine provides an opportunity to make that a reality. 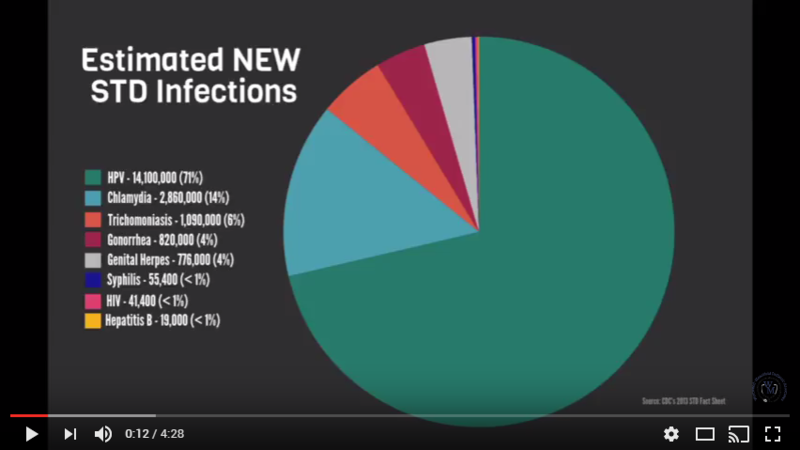 There are solid scientific reasons for giving the vaccine in the school-age years and they are explained in the following video. The video also highlights credible vaccine websites and how to evaluate the credibility of a website. Please give Dr. Hartman’s video on the HPV Vaccine a watch! For parents with special needs kids that may end up in residential care as a young adult, it is very important for them to be protected from Sexually Transmitted Diseases (STDs) like HPV. We have had special needs teenagers, including teens with autism, who have acquired STDs. For your child’s health and safety, we strongly urge that you give your son or daughter at the recommended age the HPV vaccine.